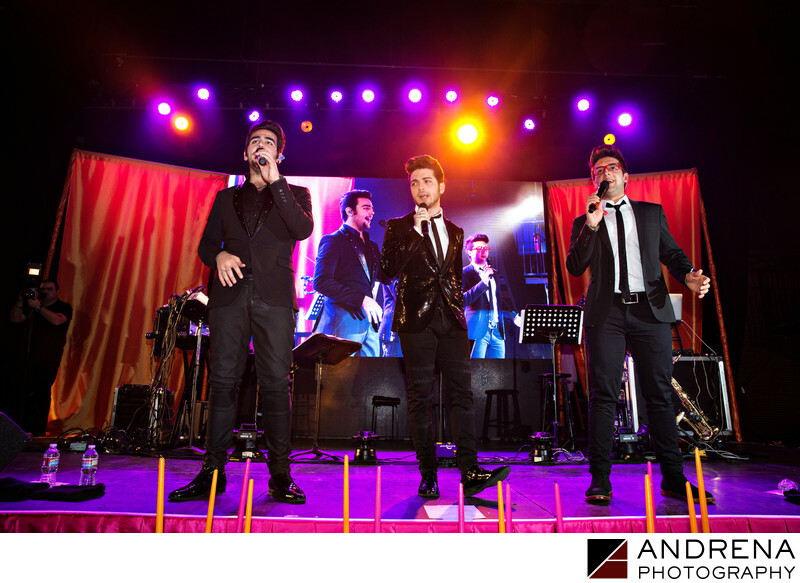 Photographing bar and bat mitzvahs in Los Angeles gives us the opportunity to do our very top work as event photographers, especially when we're covering a surprise performance by the talented Italian pop band Il Volo. These handsome young men thrilled the crowd with their astonishing vocal prowess, and the bat mitzvah girl and her family were overjoyed with their performance. The band members were also very kind during the post-performance meet and greet. Bar and bat mitzvahs are a right of passage and a celebration of a transition into man- or womanhood. We love being a part of the traditional temple service as well as the incredible parties. Location: Henry Fonda Theater, 6126 Hollywood Blvd, Los Angeles, CA 90028.